If you are looking for a lake community with waterfront homes with a community pool, then Stonebridge Lakes may be one to put on your list. 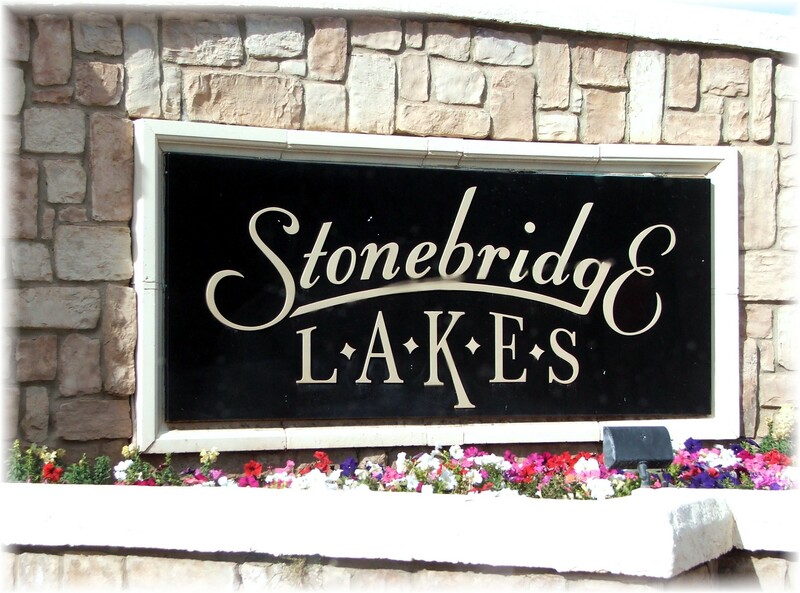 Stonebridge Lakes features two communities, the Estates and the Manor with differences being the size of the lots and the monthly HOA fee. Besides being located in the heart of Gilbert, both communities feature distinctive UDC floor plans built in the early 1990’s and a community pool in each. 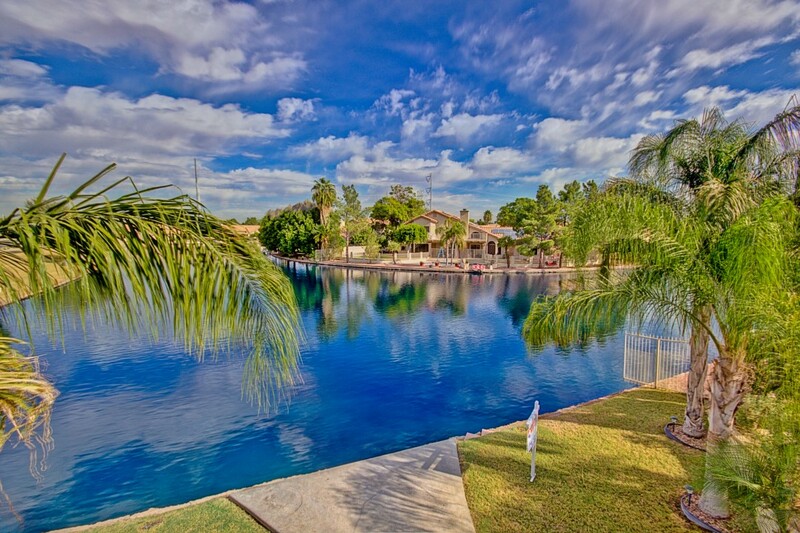 Looking for a family sized Gilbert waterfront home? Your search has ended! This two story, 5 bedroom, 2,985 sq.ft. home in Stonebridge Lakes has spacious bedrooms and an upstairs walk-out balcony providing just another vantage point from which to enjoy the lake views. Enjoy your waterfront views from the back patio in the evenings. 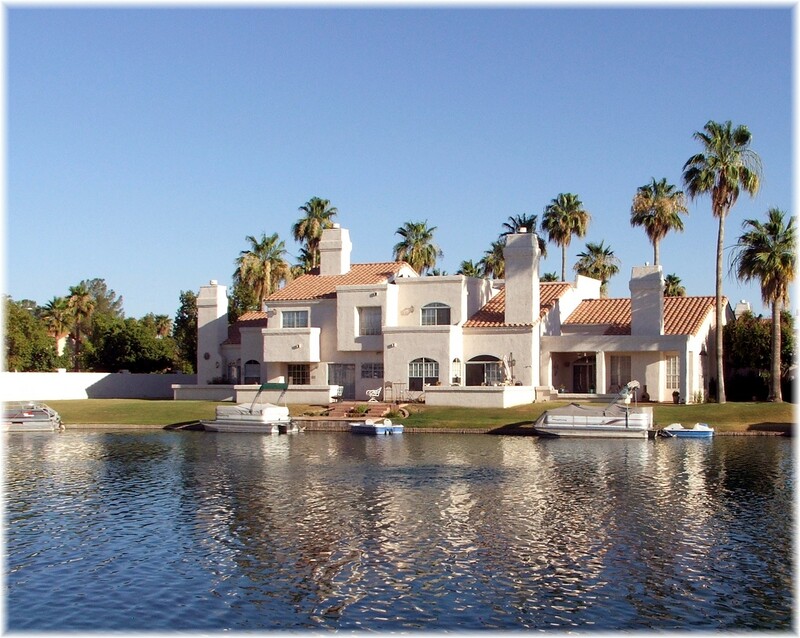 In your quest for Phoenix lake communities that have waterfront homes, any search would be incomplete if you didn’t consider the eight waterfront communities in Gilbert. I’m not counting subdivisions that have a community lake at the entrance or near the clubhouse. 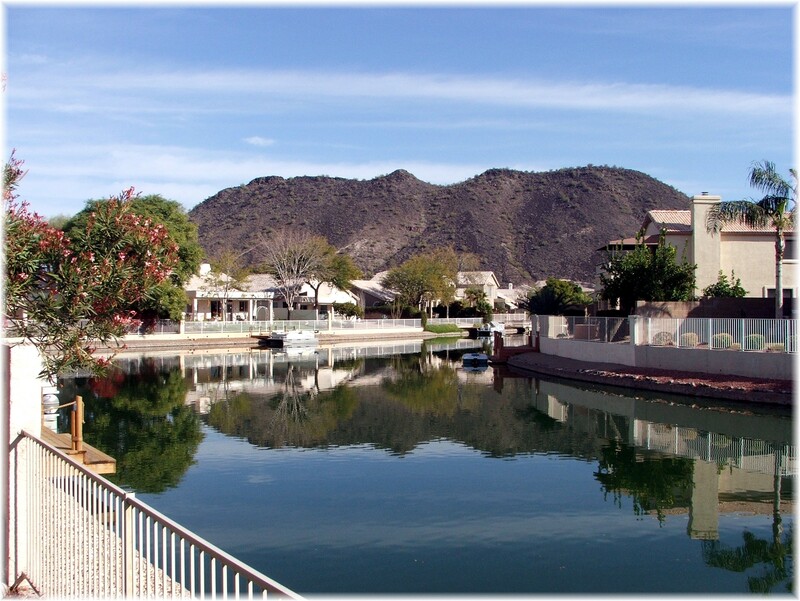 These are communities in which some of the homes are on waterfront lots. 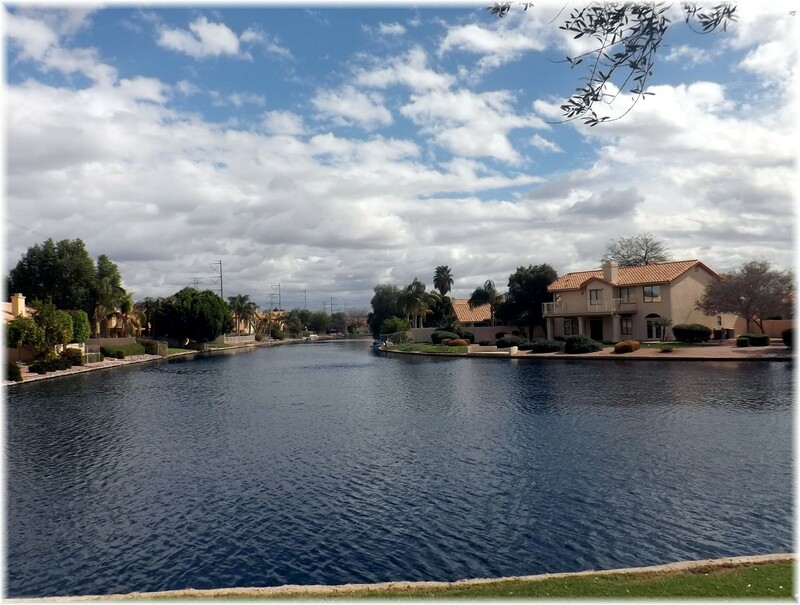 Specifically, these Gilbert waterfront lake communities are Val Vista Lakes, The Islands, Crystal Point, Santan Lakeside Estates, Playa del Rey, Lago Estancia, Stonebridge Estates, and Wind Drift. 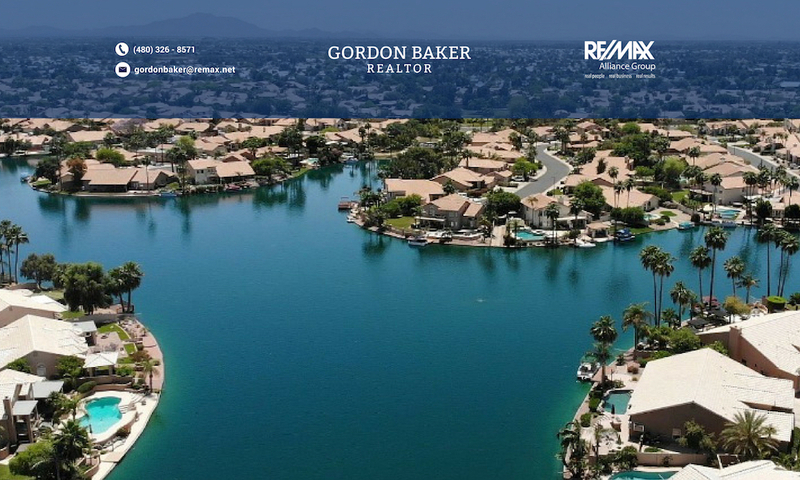 Almost directly across the street from Freestone Park, you’ll find Stonebridge Lakes Estates and Manor, a moderate sized 150 acre Gilbert lake community. With over 370 homes of which 115 are lakefront, this low-traffic community also enjoys good access to freeways, jogging paths, Freestone Park, and has 2 community pools.